The photographs, stories, and videos gathered at the Marshfield Mass. Memories Road Show are available online now for research. ‘Farmer at heart, 2015. 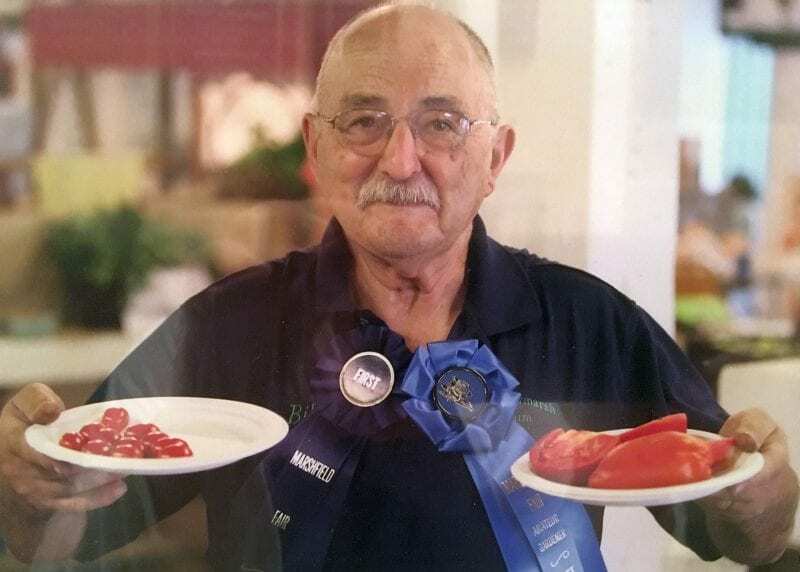 It was a tomato contest at our farmer’s market. I grew these on the last colonial farm in town (Truant).’ Contributor: William R. Frugoli. Hosted and organized by the Ventress Memorial Library on Saturday, October 28, 2017, the event was the result of a collaboration with numerous community organizations including the Marshfield Historical Society, the 1699 Isaac Winslow House and Cultural Center, and the Marshfield Council on Aging. 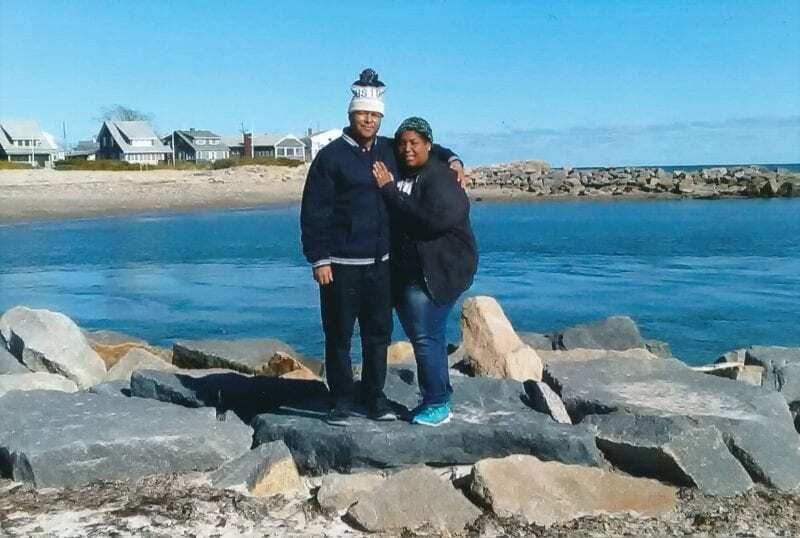 Over twenty local volunteers joined a team of UMass Boston staff members, public history graduate students, and “Roadies” to welcome nearly 100 adults and children with connections to the town on Boston’s South Shore. ‘The Kiley girls and friends at Ocean Bluff Beach. 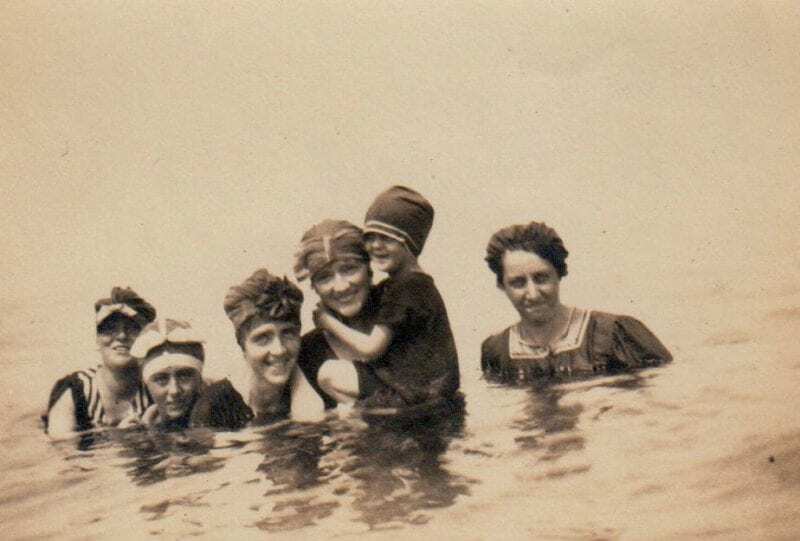 A fun day swimming at Ocean Bluff Beach, c. 1910s. Pictured, from left to right: Edith Dow, Mary M. Kiley, Evelyn W. Kiley, Katherine (Kittie) Driscoll Kiley, (in Kittie’s arms) my mother Marguerite Kiley Driscoll, and Marion Rogers.’ Contributor: Marguerite Krupp. Participants contributed images of everyday life in the seashore community in the 20th and 21st centuries. Family gatherings swimming at the beach and exploring the town’s natural beauty are well documented in the collection. Little Rams, 1973. 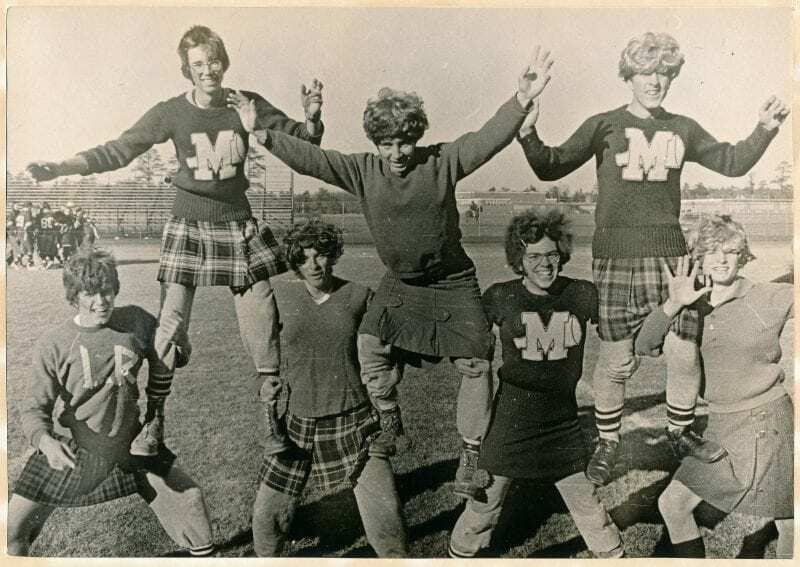 Friends in high school cheering on girls’ Powder Puff football game. Pictured, from left to right: Donny Roche, myself Ned Bangs, John Taylor, Matt Harris, Tom Sousa, Joe Kelly, and Mike Robinson.’ Contributor: Ned Bangs. Many contributors chose to share images of casual times at school, as well as formal class photographs. Other images feature Marshfield residents coming together for community service projects and at work in the Police Department, the Fire Department, and in family businesses. Browse the Marshfield Mass. Memories Road Show collection. The Mass. Memories Road Show is a statewide digital history project that documents people, places and events in Massachusetts history through family photographs and stories. In partnership with teams of local volunteers, we organize public events to scan family and community photographs and videotape “the stories behind the photos.” The images and videos are indexed and incorporated into an online educational database. Since its launch, the project has gathered more than 10,000 photographs and stories from across the state. It is supported in part by the Patricia C. Flaherty ’81 Endowed Fund at UMass Boston. University Archives & Special Collections in the Joseph P. Healey Library at UMass Boston was established in 1981 as a repository to collect archival material in subject areas of interest to the university, as well as the records of the university itself. The mission and history of UMass Boston guide the collection policies of University Archives & Special Collections, with the university’s urban mission and strong support of community service reflected in the records of and related to urban planning, social welfare, social action, alternative movements, community organizations, war and social consequence, and local history related to neighboring communities. To learn more, visit blogs.umb.edu/archives. This entry was posted in Announcements, Community, Events, Mass. Memories Road Show, Special Collections and tagged community archiving, digital history, Marshfield, Mass. Memories Road Show. Bookmark the permalink. The Healey Library’s exterior stairs are now closed due to construction. Please enter any other campus building and use the second-floor catwalk to access the Healey Library. Browse site by category Select Category Announcements Collections Community Events Exhibits Joiner Institute Mass. Memories Road Show Outreach ScholarWorks Special Collections UMass Boston History University Archives Who’s Who? Subscribe to receive info about our collections, events, community partnerships, and more. New Resources at Healey Library!